This recipe works equally well with other dark-leaf salads — baby spinach, for example, or chicory (frisée in French), or a mixture of different leaves. 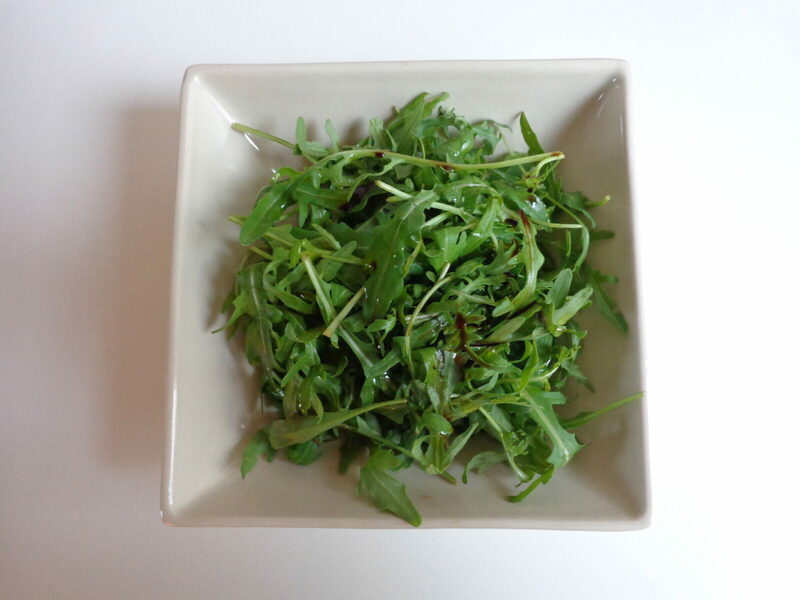 Wash the arugula and spin it dry. By the way, the everyday French chef doesn’t shy from using ‘salad in a bag’ — but it still needs rinsing to get those chemicals off. Set aside. In the bottom of your salad bowl, combine the vinegar and the olive oil, stirring energetically to create an emulsified sauce. If the sauce does not emulsify, add a little bit more oil. Peel the garlic clove and cut in half. Add to the sauce. Season with salt and pepper to taste. 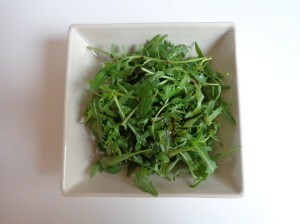 Just before serving, remove the garlic from the sauce and add the arugula to the bowl. Toss well. Serves 2.